Hong Ngoc IVF Center – Hong Ngoc General Hospital boats a state-of-art system of multi-room incubators using the world’s most advanced time-lapse embryo imaging technology from Singapore, ensuring the highest effectiveness and an increase in infertility treatment’s success rate. Embryos are tiny and most fragile stage of life, which can be easily harmed by numerous factors. Uterine environment has the most appropriate conditions for embryo creation and development. Therefore, Incubators used in IVF must mimic the condition in mother’s body as precisely as possible for their growth. Conventional front-load door incubator: this type of incubator has been widely used at most of hospitals and assisted reproductive centers for years. The incubator is designed with only one chamber equipped with air supplying system and specific filters. It creates a homogenous environment in the chamber but its temperature and gas could be easily leaked out and thus, fluctuate when the lid is opened, taking time for recovery. Multi-room incubator: the incubator is designed with separate chambers which are isolated from each other. This is the advantage of multi-room incubator in comparison to the conventional one as it allows temperature and gas concentration to quickly recover. Any disruption of a chamber has no impact on the rest of the system. 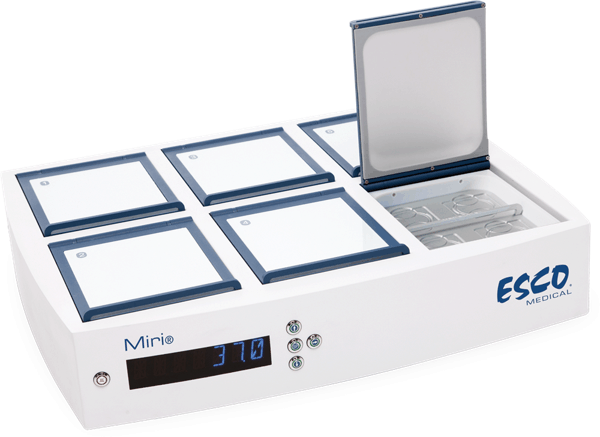 Time-lapse incubator: the multi-room incubator is upgraded with microscope and automatic camera integrated in each chamber. This is the most advanced incubator in the world with an array of advantages. 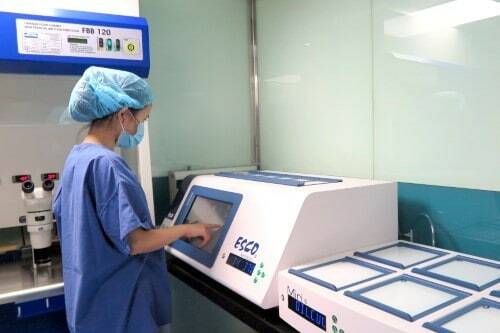 In addition to the strength of multi-room incubator in terms of no cross-impact among different chambers, the time-lapse incubator is equipped with camera which automatically and continuously takes photos of the embryos. Thus, embryologists can easily record information of the embryos and spot abnormities during the division process which cannot be detected by naked eyes. At Hong Ngoc IVF Center – Hong Ngoc General Hospital, we are using multi-room incubator and time-lapse incubator provided by Esco Medical– the world leading company specializing in medical equipment and technology, especially in assisted reproductive field. Only few units in Vietnam are having these advanced devices. In addition to the world’s most advanced system of incubators, Hong Ngoc IVF Center is using time-lapse embryo imaging technology from Singapore for monitoring embryo development. 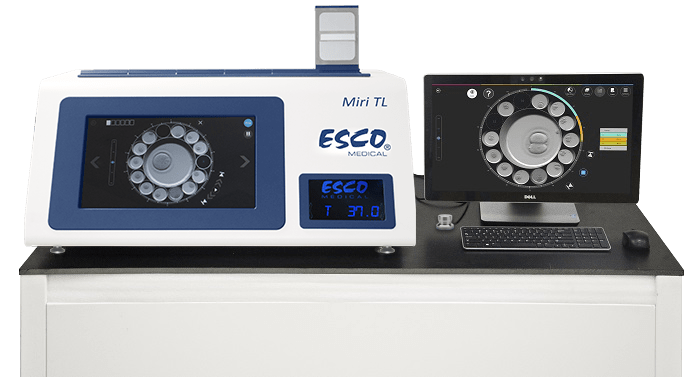 With the application of time-lapse embryo imaging, the process of scanning and analyzing embryo development is performed by a computer which continuously monitors the embryo’s deve­lopment. The developmental abilities of embryos can be predicted by measurement of their cell cycles. The embryos’ attributes are strictly analysed, allowing embryologists to detect abnormal cleavages leading to the occurrence of chromosomal malsegregation which is a major cause of spontaneous miscarriage or birth defects. Time-lapse embryo imaging is non-invasive as the entire monitoring process happens behind closed doors of the incubator. The embryologist do not need to open the lid of incubator for direct and constant examinations; therefore, the embryos are not disturbed by outside factors during the incubating time. Moreover, with constantly updated information of embryos development, the embryologists can use intelligent algorithms in selection of embryos before transfer them to the female patient’s uterus, increasing the effectiveness of IVF procedure compared to embryos which develop in other types of incubators and are subjectively assessed by normal looks. 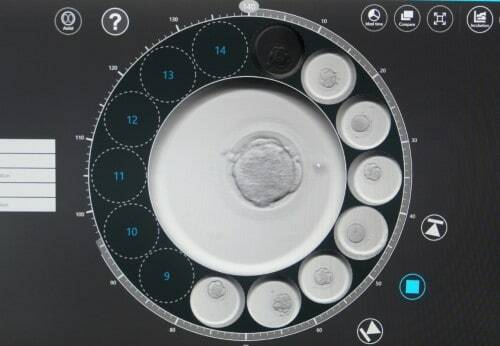 Better still, at Hong Ngoc IVF Center, the very first images of embryos – the beginning of the incoming baby is recorded in USB and will be given to you as a gift, marking your initial success on the journey of finding your baby.